A timeshare is an arrangement where there is a joint ownership over a specific property. Each owner would have the right to use the property as a vacation home. The owners would be able to equally share their time within the property and take advantage of amenities that may be available on the grounds, resort, or neighborhood. In most timeshare situations, the minimum available purchase is a one-week ownership. Depending on when the time in the property is desired, the pricing for the timeshare can be quite high. Most timeshares are sold as a lease or under a right-to-use agreement, which means the timeshare owner has no actual ownership rights over the property in question. #19. The most common feature wanted with a timeshare purchase is Wi-Fi, with 48% of owners stating it is a critical component of their time away. 46% also say that nearby restaurants are an important part of their vacation. The timeshare industry is one of the most adaptable industries in the world today. Each timeshare tends to focus on specific activities and geographical benefits as a way to promote ownership. That makes industry information somewhat difficult to track over long time periods, as each segment of the industry shifts as vacation preferences shift. 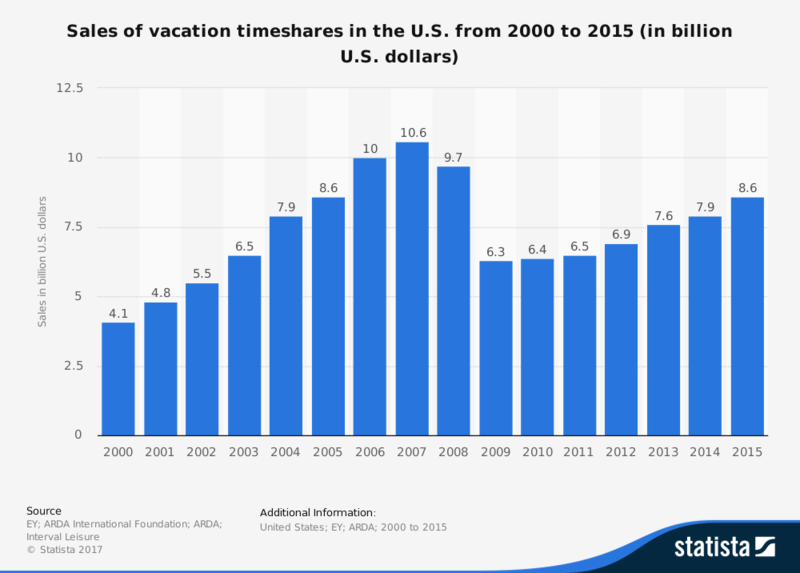 Although golf is not one of the most common activities enjoyed during a timeshare vacation, it is the leading segment for activity-related timeshare resorts. More than $1 billion in timeshare sales is based on golf resort locations. 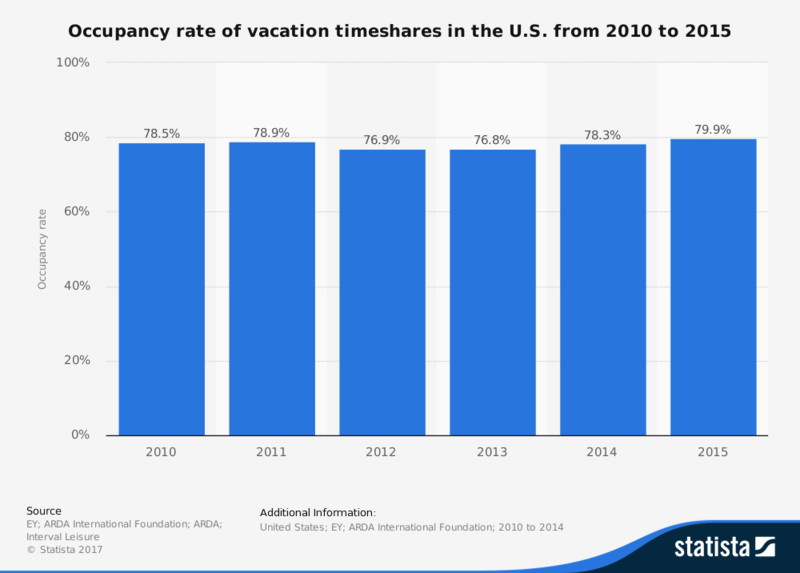 Timeshares make sense for households that prefer to take a vacation in the same spot every year. Floating timeshares that allow for a week to be booked in multiple locations may be a viable option as well. The issue that this industry faces is its high costs compared to the services provide. It will always make sense for a few households to participate in this industry. 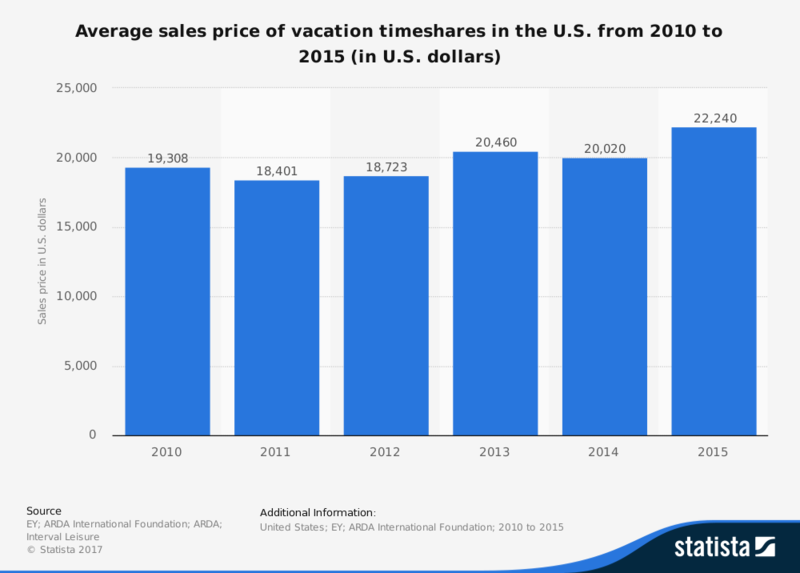 For the majority of vacation seekers, however, the timeshare industry is an investment that does not make sense. For that reason, the growth potential for the industry will always be somewhat limited.